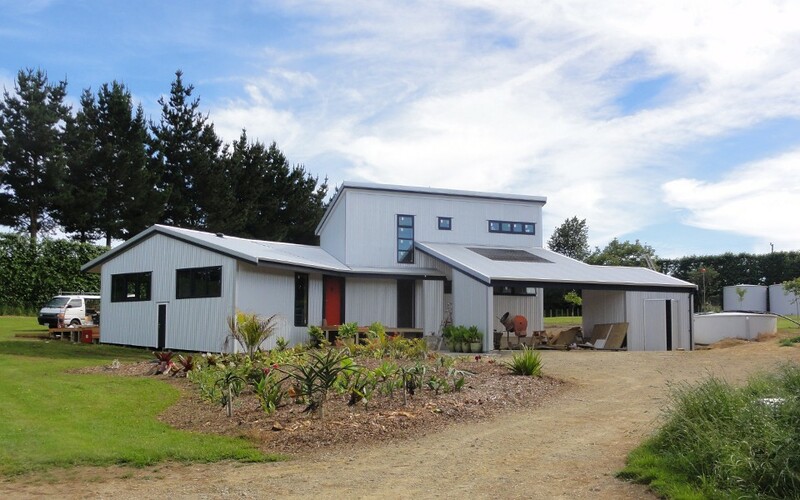 A commercial walnut orchard in Whanganui provides the setting for this simple rural home. The aesthetic is agri-industrial minimalism for the exterior shell, but high-spec sustainable features within. 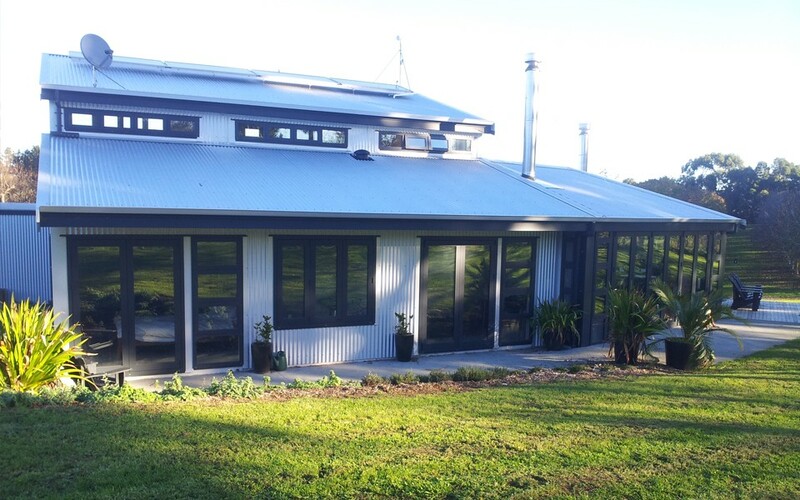 A Rayburn woodstove with a 500L Wolf hot water cylinder provides year-round heat to wall radiators placed in every room and is supplemented by solar water panels. The bedroom wing is oriented due north with generous glazing to maximise passive solar gain in winter, whilst the kitchen/living wing is more shaded and bends to align with the walnut avenues. 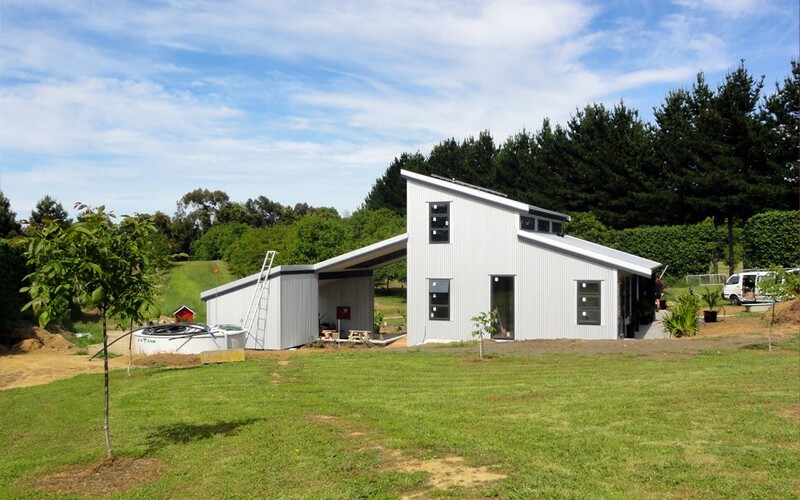 To minimise heat loss the house is insulated to levels greater than required by the building code, R5.0 in the roof and R3.4 in the walls respectively. Complementing this is a fully insulated concrete slab, enhancing thermal storage capacity.